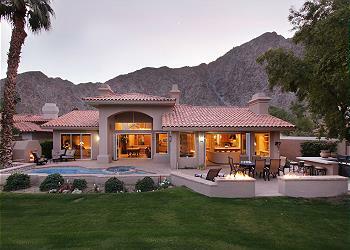 This Stunning home is designed for ultimate enjoyment of the wonderful desert weather and views! 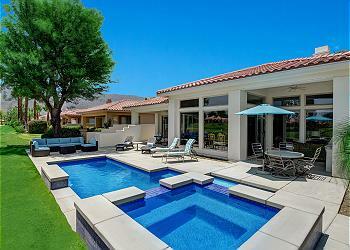 This remodeled 4000 square foot home has a private pool, spa, outdoor fireplace plus fire pits. 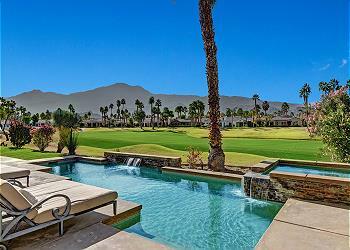 Luxury PGA Norman Hideaway features southern exposure with extraordinary views overlooking the fairways of the Greg Norman course and the Santa Rosa Mountains. This stunning modern masterpiece is situated on the 4th Fairway with southern double fairway views over the Weiskopf Golf Course. 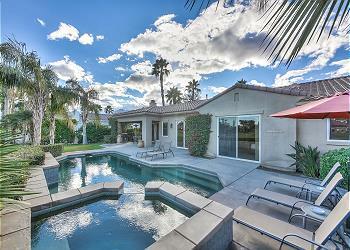 Come stay in this Luxurious Estate home in prestigious PGA West! Within this turnkey furnished, 4400 square foot Estate, you will find 4 bedroom suites with their own bathrooms, one a detached casita, a media room, and pool table. Stunning views! View, views and more Mountain Views! South facing, four bedroom, 4.5 bath, home on a private lot. 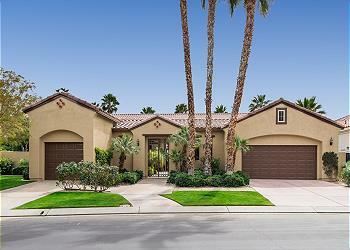 This Augusta III model home is located on the much-desired Nicklaus Private section of PGA West with a timeless design and neutral colors that create a sophisticated home for today's lifestyle. ELEGANT PGA NICKLAUS RETREAT Luxury 3000 square foot home overlooking the spectacular fairways of the 8th hole of the Nicklaus Private. Located on a corner lot, next to a rarely used Community pool, this home feels like your own private retreat. 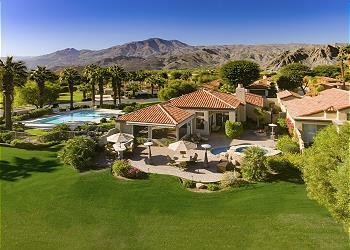 On the famous PGA West Tournament Course this home has incredible views overlooking two fairways and a large lake. 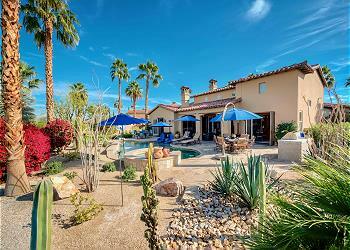 The newly remodeled property has west/southwest exposure for sun by the pool all day long. 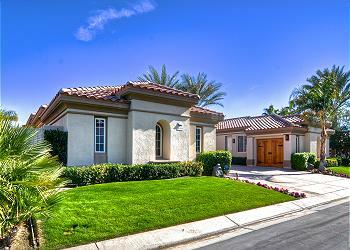 This is a luxury PGA West home located behind guarded, private gates on the 12th green of the famous Nicklaus Tournament course. This spectacular 3,450 square foot home features 14-foot ceilings, private pool and heated spa. 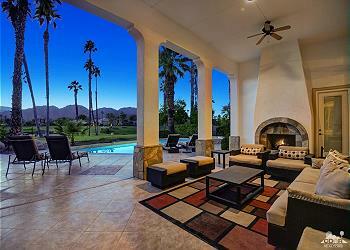 A spectacular estate located in the private PGA West community, overlooking sweeping panoramic views of the 16th fairway on the Jack Nicklaus Tournament Course. All New furniture coming April 1st 2019!! 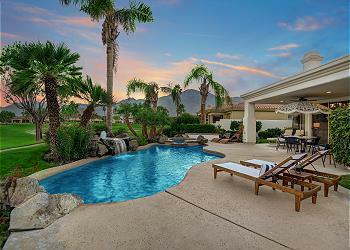 Entertainer's Dream Home! Incredible panoramic western Santa Rosa mountain and golf course views abound in this gorgeous former model home, featuring 4 bedrms, 3.5 with 3600 sq. ft. 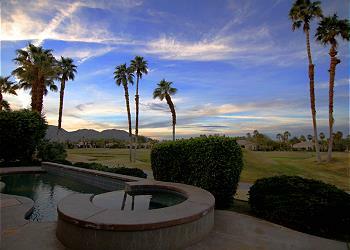 Resort living in this estate sized lot with panoramic golf course and mountain views! 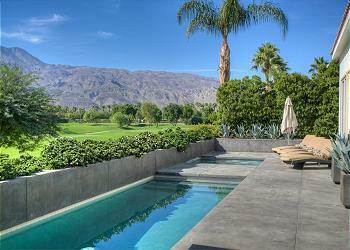 Upon entering the home you will love the unencumbered golf course and towering mountain views. The pool is an amazing place to enjoy the Desert Classic tournament.